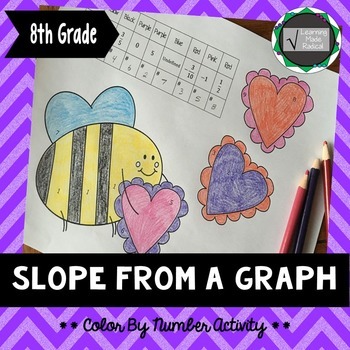 Learning slope is one of the bigger concepts to take away in middle school. 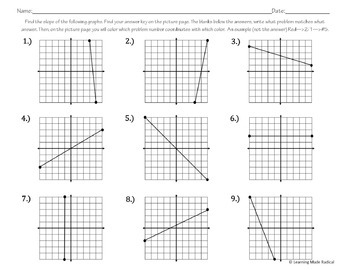 This activity allows students to practice finding slope from a graph; including positive, negative, undefined and zero slopes. 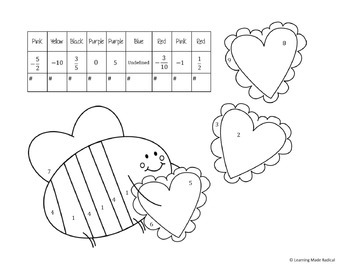 The activity could be set up in two ways - just work on the worksheet portion or add in the color by number part as well! Looking to practice slope? Check out my other interactive activities below! Looking to collect all of these slope resources?! Check out the Slope Bundle at a discounted price!